Virtual reality has gained a huge amount of recognition in the past year and it has promising growth ahead of it. It is an artificial computer-generated simulation, which creates real-life situations and experiences. These ‘alternative realities’ are used in places you would have never guessed, like in the healthcare industry where people use virtual reality to overcome certain phobias. Besides that, it’s also used in art. Virtual reality brings art to life and closer than ever. Two young Muslim creatives, Abbas Syed and Nadeem Naseem, have challenged themselves by creating a virtual space where they showcase their individual talents. With knowledge of virtual reality and 3D space, Nadeem created a virtual gallery to stage the digital art pieces created by Abbas. Together and under the same roof, at their studio ‘The Createl’, they spent countless hours in order to bring this concept to life. Expression is a big part of our humanity. We need to express ourselves in order to develop ourselves. Let’s have a look at these young creatives’ journey, story and work. 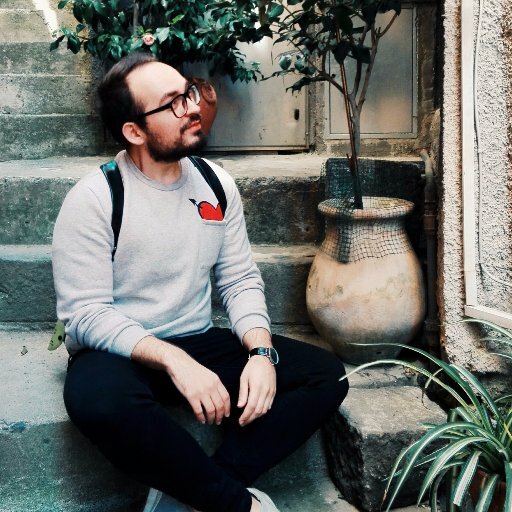 Before launching the virtual gallery, Abbas had been sharing his work online for over a year on his social media platforms, mainly on Instagram. By sharing his work online, he gained followers from all corners of the world but he wasn’t satisfied with showing his work solely through the four corners of Instagram. Bearing in mind that his followers are worldwide, he wanted to create an exhibition with a new experience that would be accessible to everyone at any time. Abbas started to research and explore ideas until he stumbled upon the concept of creating a gallery in VR. He then got into contact with Nadeem, who is within his creative circle and has knowledge of virtual reality and 3D space. They came together in Abbas’ studio, The Createl, and they began to research and explore the best way to create this gallery. They decided to start from scratch. They used 3D software and nothing within the gallery is physical, everything is purely digital. These Muslim creatives, of a south Asian background, created the gallery and the work of art within. By trying and creating new ideas and ways to show art, they want to inspire young Muslims and show them that there is more than one avenue when it comes to art and design. There are simply no limitations. The fact that the gallery is created through collaboration, encourages other creatives to unite. It does not necessarily have to be Muslims you collaborate with. All the attention goes to creating organic ideas and pushing different cultures forward. Even though it is a VR gallery, we cannot overshadow the captivating pieces within the gallery. With Abbas’s work style, which is described as surreal, it is very easy for the viewer to create his or her own meaning about what the piece depicts. We asked Abbas about the meanings behind his two favorite pieces. After five months of investing time and creativity, Abbas doesn’t want this to be the end of him working with VR. VR is a very new concept which is still growing and the future is very promising. He wants to keep connecting with the right people, and hopefully, create another virtual gallery where he showcases artists from all over the world. Previous article Yes, I’m a Muslim AND a feminist!